Vigorous exercise may potentially lower your immune functioning. Olympians — who often engage in extreme exercise during peak training months — report having a lower resistance to upper respiratory tract infections, colds and sore throats. According to a 2001 literature review by the President’s Council on Physical Fitness and Sports, over-training is associated with physical illnesses. Thus, the intensity of your workout or calorie expenditure is indicative of your infection risk. Moderate caloric restriction increases longevity and boosts the immune system to chronic conditions, according to Michigan State University. 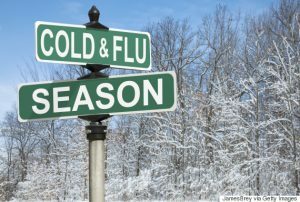 However, researchers found greater calorie consumption and fat reserves yield a better prognosis in flu outcomes. 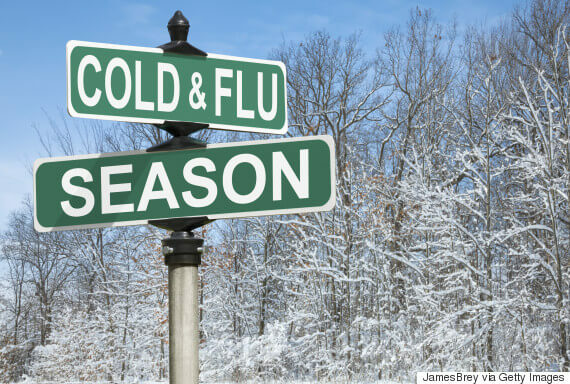 The flu naturally curbs the body’s appetite, but subsequent eating behavior can dictate the rate an individual overcomes the flu. According to the MSU study, mice engaging in a calorie-restricted diet lost more weight, possessed longer recovery times and revealed increased mortality rates than their non-restricting counterparts. Overweight status is a risk factor for poor immune functioning. Fat tissue generates immune hormones. Specialized immune hormones called cytokines react to areas of infection and bodily injuries. According to University of New Mexico researcher Len Kravitz, excess body fat can cause these hormones to overreact, contributing to chronic inflammation. Chronic inflammation is associated with diabetes and heart disease. Weight loss decreases the circulating immune hormones contributing to this inflammation.